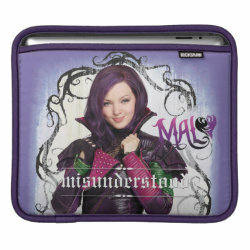 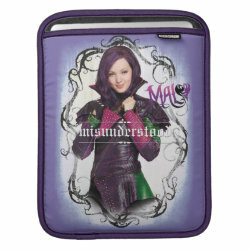 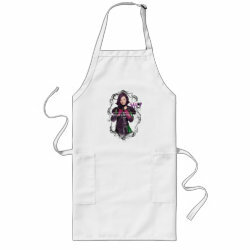 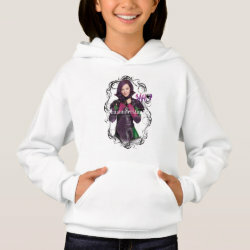 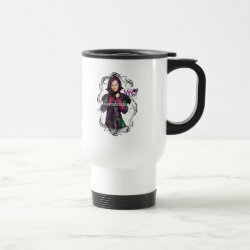 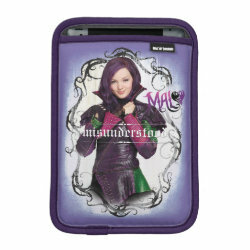 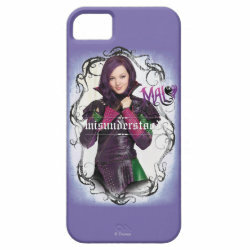 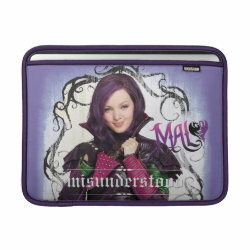 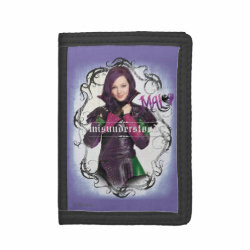 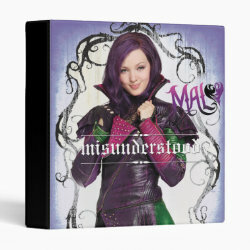 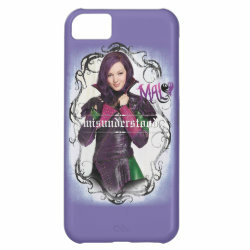 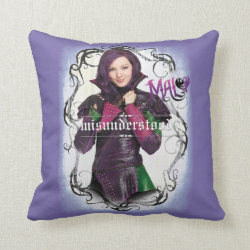 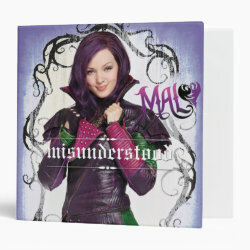 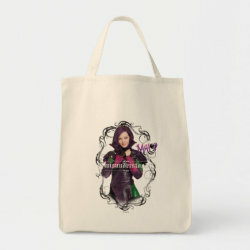 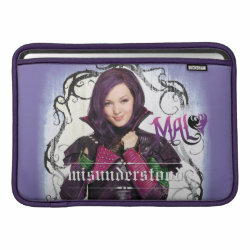 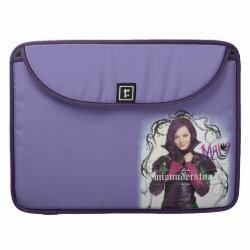 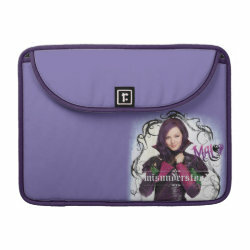 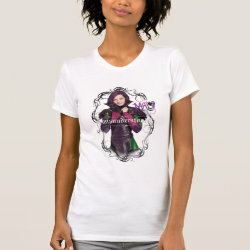 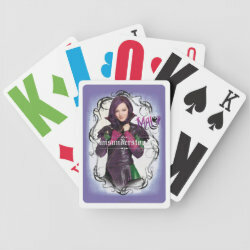 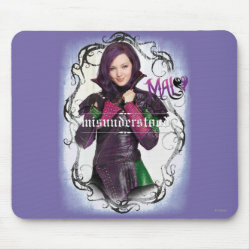 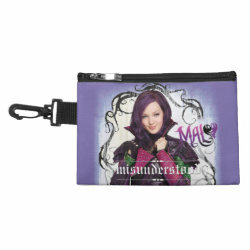 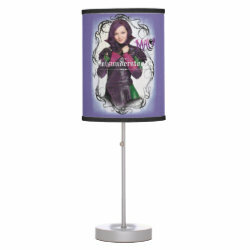 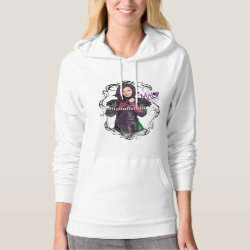 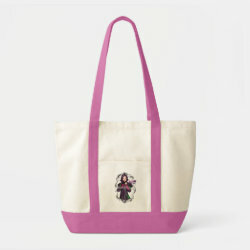 Mal (daughter of Maleficent) is featured in this officially licensed design from Disney's Descendants. 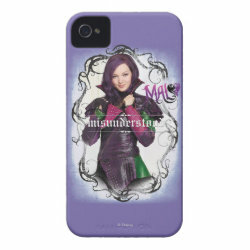 Mal is wearing her Isle of the Lost outfit. 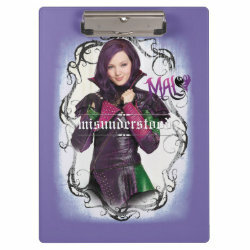 She stands before a purple background and is surrounded by a black thorny vine frame. 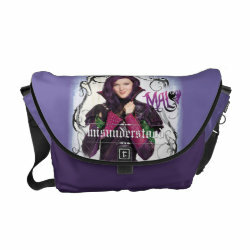 She is captioned with the slogan "Misunderstood".